Kylie Jenner Covers Cosmopolitan Magazine — Pics Here! Kylie Jenner is on the cover of Cosmopolitan Magazine for the first time! She shared the news with us a little while back sharing behind the scenes photos, but now you can finally pick up your very own copy. 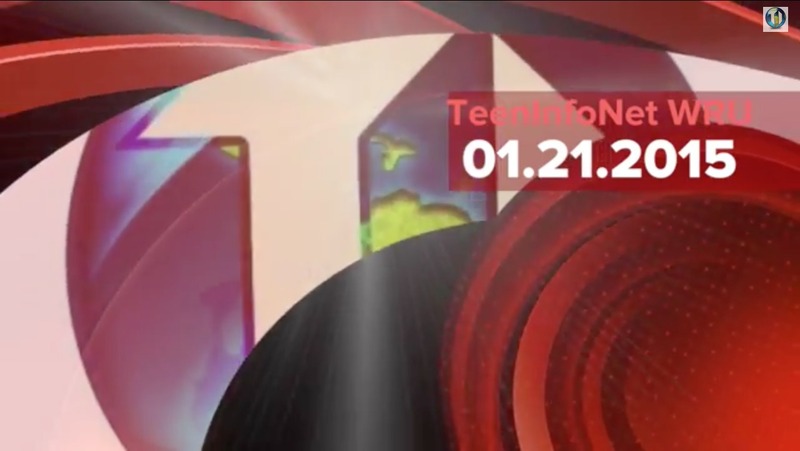 The magazine went on sale today, January 13th. Check out some photos from Kylie’s Cosmo shoot below! Kylie Jenner Is Headed To Chicago — Details Here! Kylie Jenner is headed to Chicago! Well, not just yet, she will be there on Friday, January 23rd for the grand opening of another new Sugar Factory location. Kylie has hosted Sugar Factory grand openings in the past including the LA location. Be sure to call and try and get a reservation, you may just have a chance of meeting Kylie! Mother-Daughter Adventure With Kris & Kylie Jenner– Photos Here!! Kylie Jenner and Kris Jenner decided to spend some quality mother-daughter time today, January 7th. They enjoyed themselves by heading over to Belmont Park in San Diego, spending their time riding roller coasters and eating cotton candy. The photos were taken by Kris and Kylie and shared to their Instagram accounts. 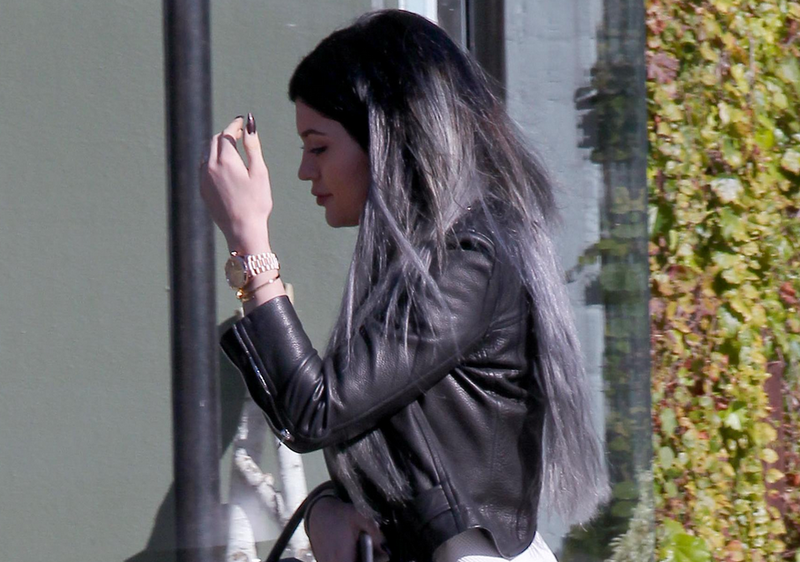 Kylie Jenner Seen Leaving ‘Andy LeCompte Salon’ In West Hollywood – Pics Here! Kylie Jenner was seen leaving Andy LeCompte Salon in West Hollywood, California on November 3rd. Kylie tried her best to dodge the waiting paparazzi, but there was no hiding her rocking new hair and awesome fall fashions. Kylie rocked all white with a black leather jacket to match her hair perfectly. Kylie Jenner Leaves ‘Barney’s New York’ In Beverly Hills – Pics Here! Kylie Jenner was spotted leaving the ‘Barney’s New York’ store in Beverly Hills, California on October 24th after a shopping trip. Kylie looked beautiful in a white tee with a long blue flannel shirt and thigh high black boots. Kylie always knows how to put together an awesome outfit! Would you rock this look? Kylie Jenner’s Own Line Of Hair Extensions Coming Soon? — Details Here!! Kylie Jenner went from long hair to short hair a few months back. She had long hair for most of her life, but she loved the change when she made it. In the past few weeks Kylie has been wearing serveral different extensions, some straight some wavy. After wearing extensions in her hair for a few weeks she just announced she is now coming out with Kylie Hair Kouture by BELLAMI. We are not sure of the exact date these will be released, keep up with www.bellamihair.com for the official announcement coming soon! Kylie Jenner Seen At Celebrity Basketball Game –See Pics Here! Kylie Jenner was spotted at a celebrity basketball game in Los Angeles on Sunday (Sept. 21). She was seen taking several selfies as she posed with her guy friends. Kylie was also eyed talking to a gang of friends, including Amber Rose and Chris Brown’s girlfriend Karrueche Tran. Kylie Jenner Talks With Miss Vogue UK — Watch Here!! Kylie Jenner recently did a feature with Miss Vogue UK. During her shoot she stopped to answer some questions about her style and more. Be sure to watch her interview with Miss Vogue UK below! Kylie Jenner paid tribute to the late Joan Rivers on her Instagram with the above photo, captioned “rest peacefully.” Rivers’ death was announced earlier this afternoon on her Facebook page by her daughter, Melissa Rivers. Our thoughts are with Melissa, Cooper and the rest of Joan’s family at this time.